Camel milk, which good for immunity and helps in curing many diseases is in high demand nowadays. The international demand for Camel milk has brought a smile on the faces of processing units in Rajasthan and Surat. The milk is processed in Rajasthan's Bikaner, Kutch and Surat, which has been selling at rupees Rs 3000 a litter. The increasing demand for camel milk across the world has brought a smile on the faces of processing units in Rajasthan and Surat. The camel milk, milk product and milk powder is in high demand and selling up to US$50 (Rs 3000 apx) per/litter. As per reports, the camel milk is in demand in the United States (US), where customers are ready to pay high rates. The milk is processed in Rajasthan’s Bikaner, Kutch and Surat and commonly sold in tetra packs and Camel milk powder packets of 200 and 500 grams worth rupees Rs 3000 a litter. A study claimed that camel milk has insulin-like substance, and effective to cure diabetes and other diseases. A research report from Mashhad University of Medical Sciences, Iran said that camel milk has low lactose as compared to cow and buffalo’s milk. 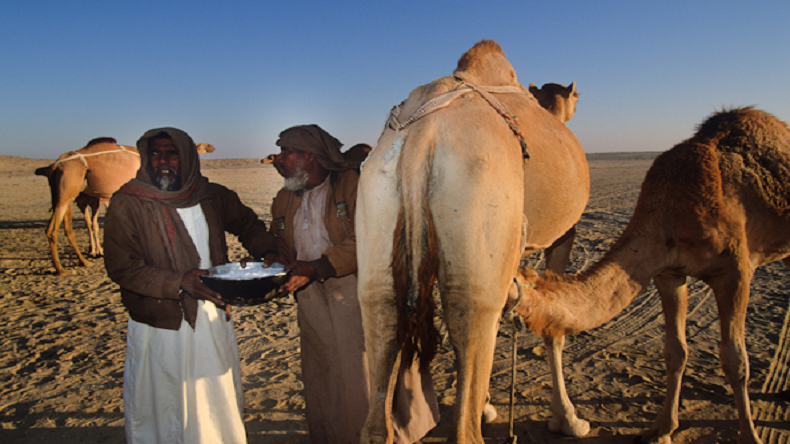 The Camel milk is a good remedy for viruses causing diarrhoea and viral disease. Earlier, reports had claimed that a cockroach’s milk contains more protein than cow’s milk and good for human beings. As per research of Institute for Stem Cell Biology and Regenerative Medicine in India, the cockroach milk could be enjoyed by humans too, say reports. There is, in fact, no actual milking involved in it, scientists need to carve out the cockroach’s gut in order to access the milk, which is in the form of crystals. Researcher Dr Leonardo Chavas said If one wants to do that in mass production, it’s not easy. The task takes time, the labour is intensive, and you don’t get much for your efforts.